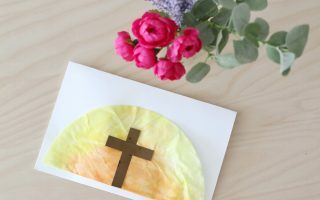 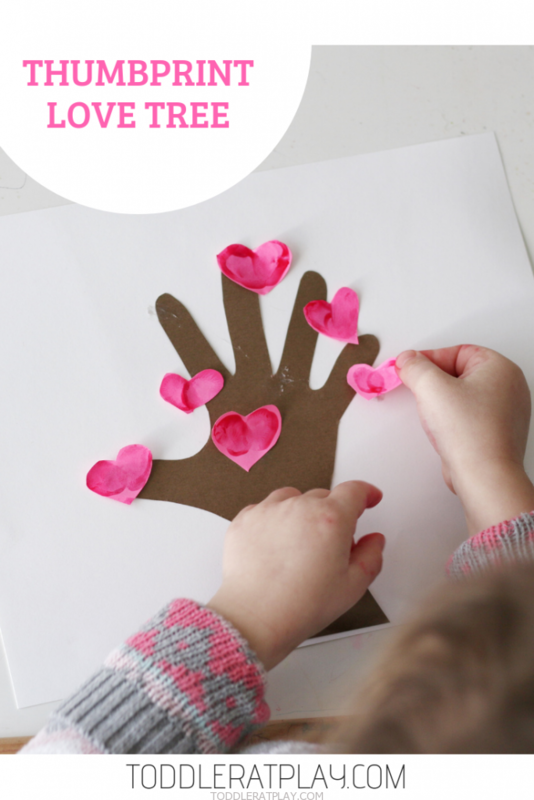 Are you looking for some easy toddler or preschool Valentine’s Day crafts? 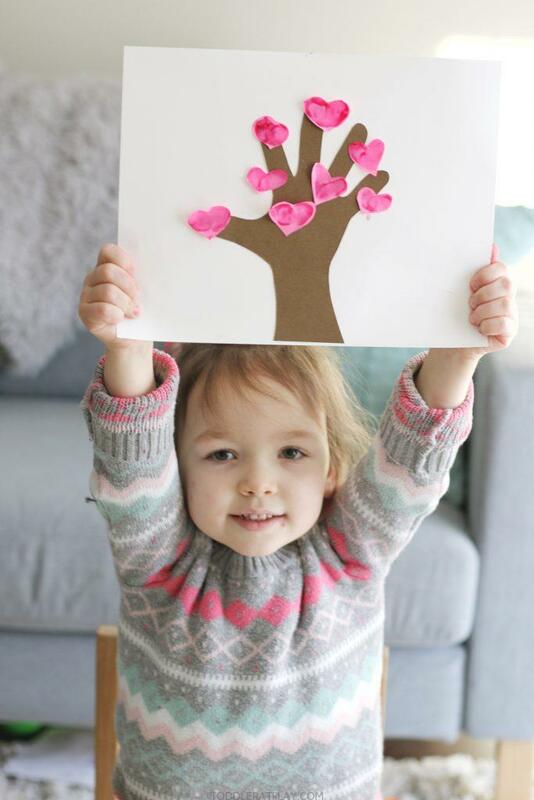 This Thumbprint Love Tree is perfect for little hands and so much fun! 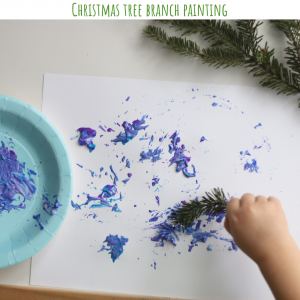 Take a look below to see how easy, inexpensive and adorable this little tree is! 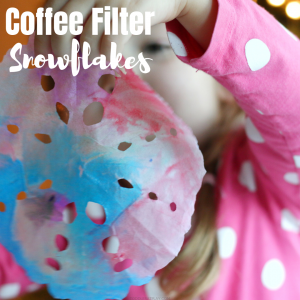 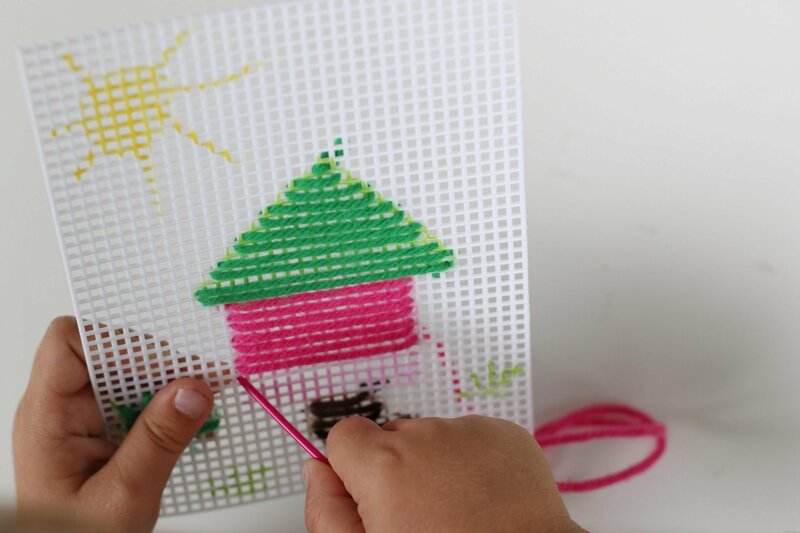 Do you need more craft ideas for your kids? 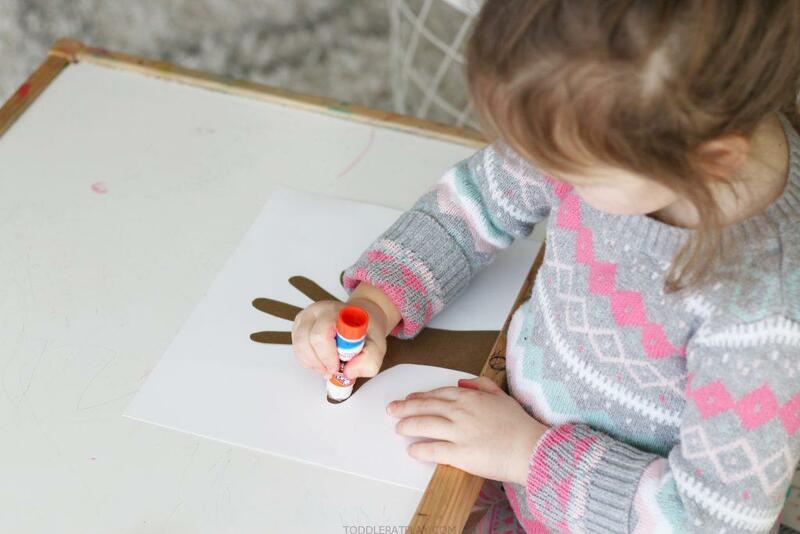 First, trace the childs’ hand and cut out to create a tree trunk and branches (how sweet!). 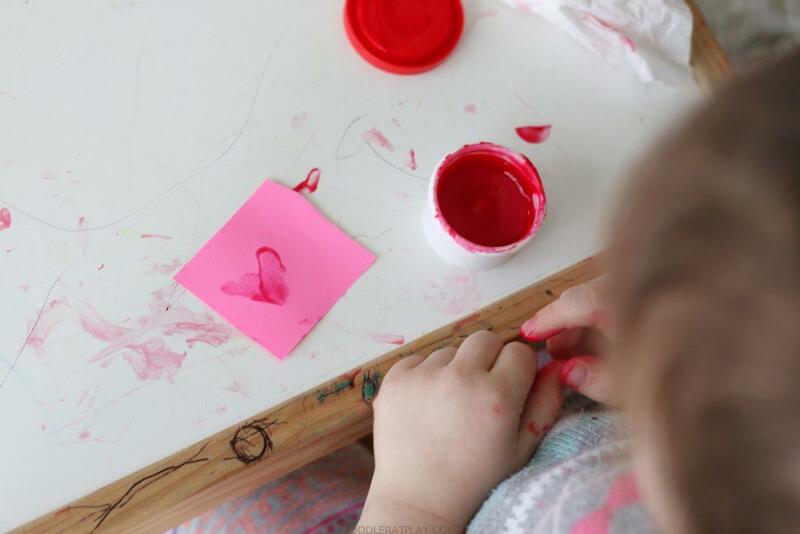 Next, using the finger paint have the child stamp their thumbs to make little hearts and cut them out. 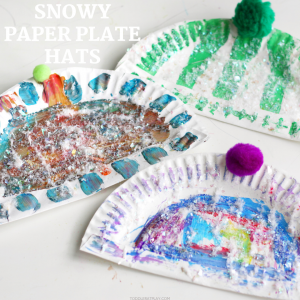 You can as many as you want, we made 8. 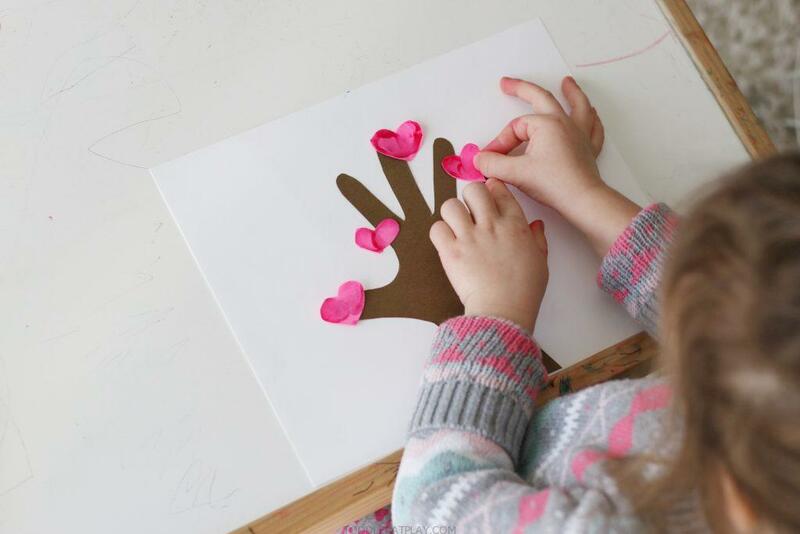 Now, simply glue on the “tree” trunk onto the white cardstock and add your little hearts. 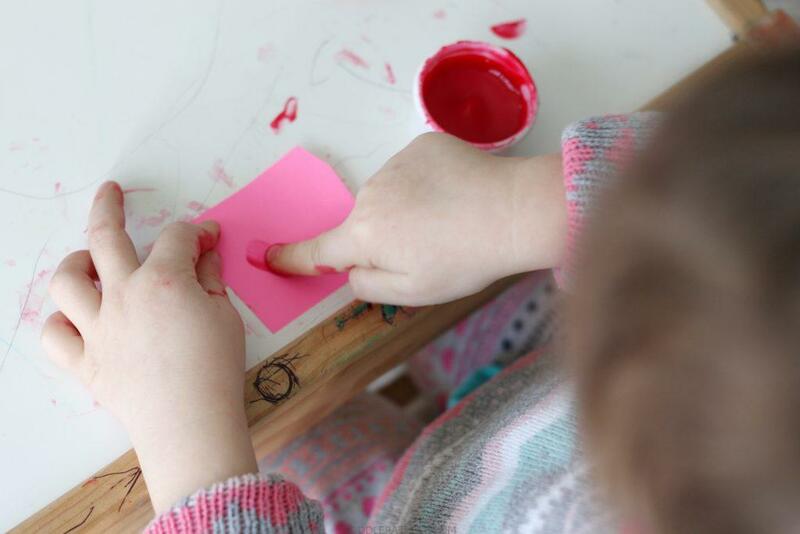 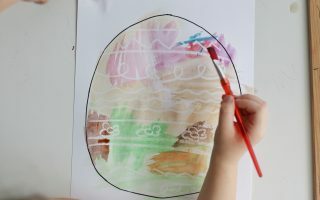 TAKE A PEEK AT THIS TODDLER AT PLAY QUICK VIDEO TUTORIAL! 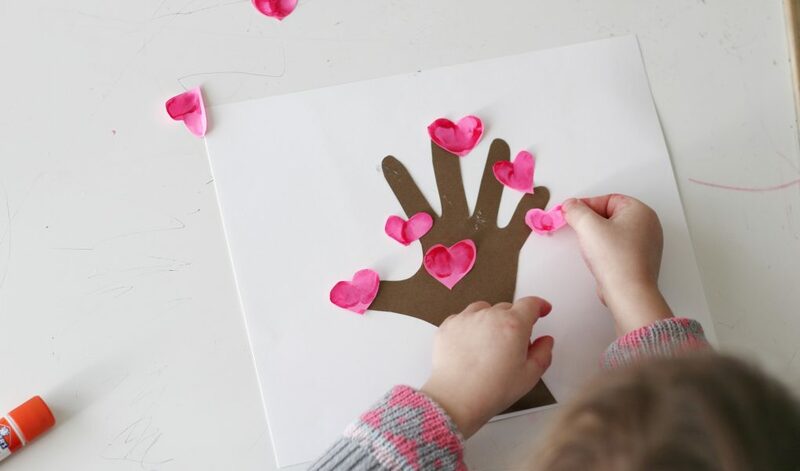 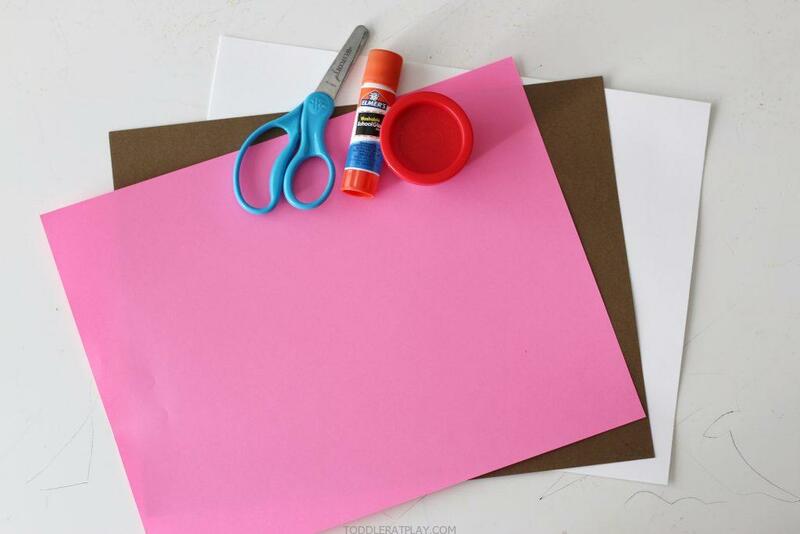 Are you going to make this adorable looking Valentine’s Day craft?